Now you can invite anyone from anywhere to easily teleport to visit your booth to experience FMS 2018 with you. We provide a BeamPro for your exclusive use to invite attendees of your choosing to instantaneously visit your team, real-time. 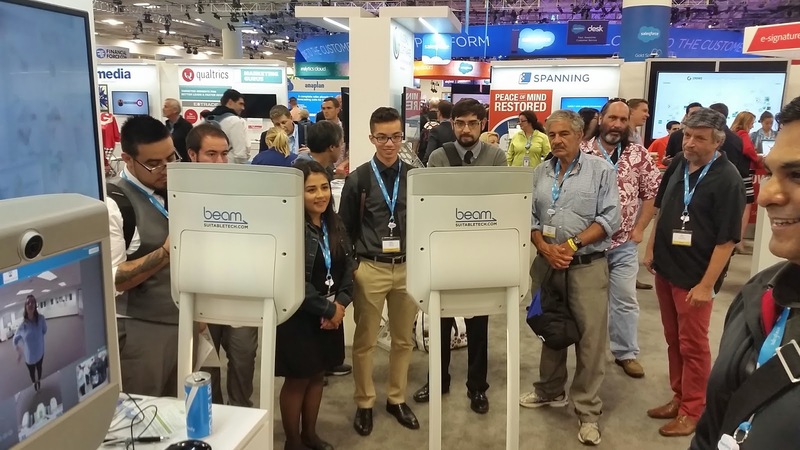 Simply sign up below if you are interested in utilizing a BeamPro in your exhibitor booth at Flash Memory Summit 2016.